Ahh spring! The perfect season to make a crochet spring bunny. The air is fresh and fragrant with the scent of budding trees and flowering plants, the spring breeze is crisp, but soothing. And when it’s not raining, the weather is perfect for epic hikes through the woods! I absolutely love spring and seeing all the cute woodland creatures come out of their winter homes to scour the Toronto parks and neighborhoods for food. 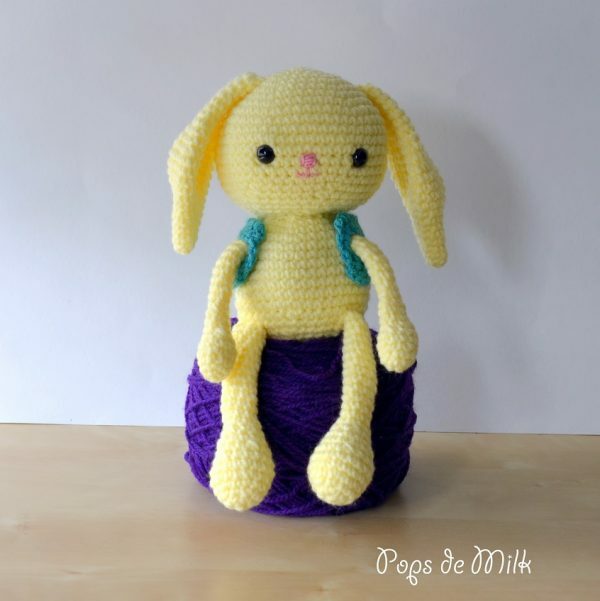 Naturally, I was helplessly drawn to making this crochet spring bunny, I got started on it almost immediately after my bunny encounter! 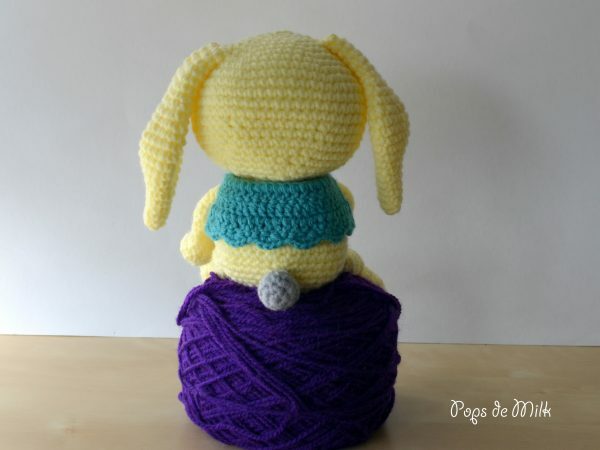 Normally my amigurumis tend to be on the smaller side but this bunny is about 11 inches in length. And I even made a little vest because it’s still a little nippy out there. I’ve used safety eyes but you can embroider the eyes instead. 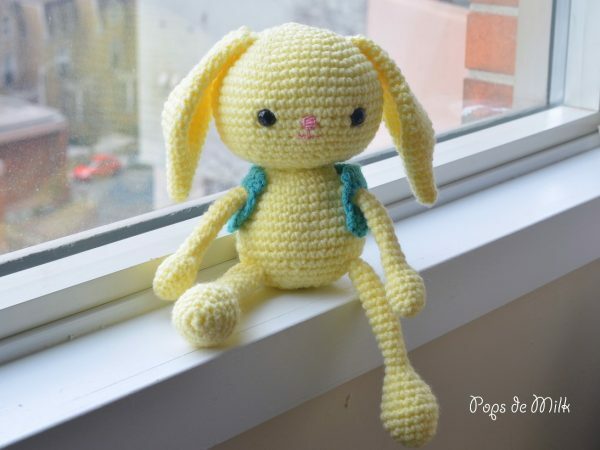 Help support my blog and get help if you get stuck by buying this pattern. With the exception of the vest, pattern is worked in continuous spirals, do not join or turn at the end of each round. Use stitch markers to keep track of rounds. Once you have all the parts you can put your yarn needle to work and sew it all together. 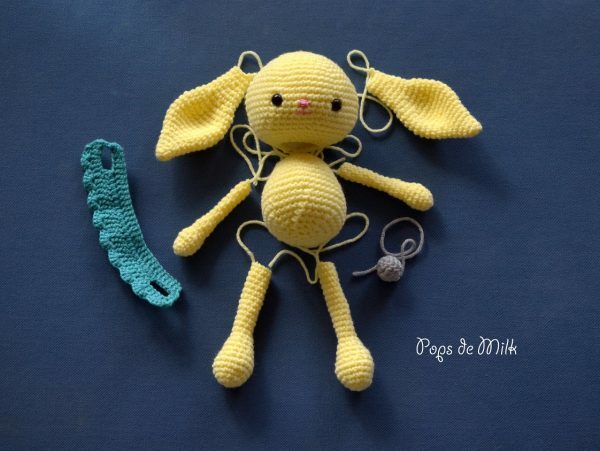 I hope you enjoy this crochet pattern and if you make it I’d love to see your creation!